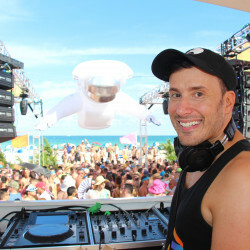 The Winter Party Festival, which took place last weekend in Miami Beach, is one of the world's largest queer celebrations. 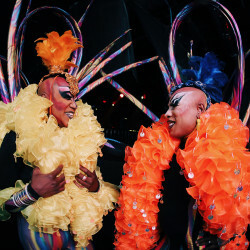 Produced by the National LGBTQ Task Force, the Winter Party is a week-long series of events that draws more than 10,000 attendees from across the world and raises hundreds of thousands of dollars to benefit the LGBTQ community. 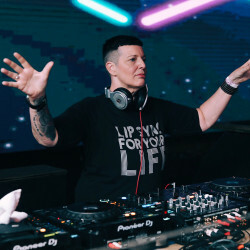 This year's theme, "With Open Arms", focused on the diversity of the queer community and the organization’s dedication to making the Festival a welcoming environment for all. 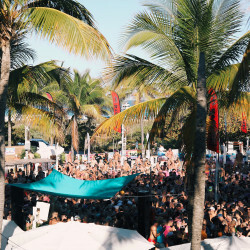 Many of the Winter Party's events saw record attendance, including two massive parties at the James L. Knight Center in downtown Miami, Saturday’s day party at Nikki Beach Club, and Sunday’s crown jewel main event on the sands of South Beach. 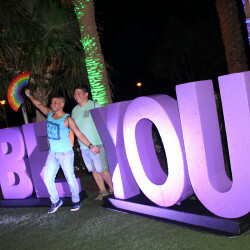 Other highlights included appearances by <i>RuPaul’s Drag Race All Stars</I> season one winner Chad Michaels, and Jai Rodriguez (best known as the culture guide on the Emmy-winning reality show <i>Queer Eye for the Straight Guy</i>).